Oh so sublime. 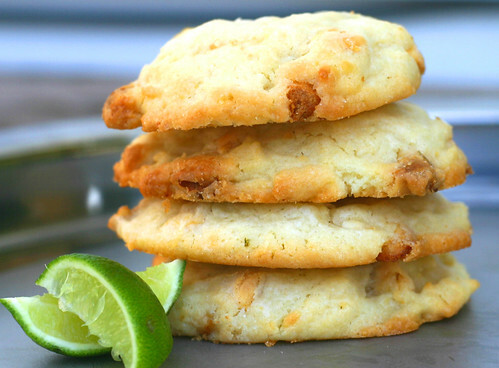 A refreshing suger, lime cookie with white chocolate chips. Like nothing you have ever tasted. Mix well, then add dry ingredients and mix until just blended. Drop by rounded tablespoon, flatten a little if necessary. Place on ungreased cookie sheet. Bake at 350° for 8-10 minutes. Let cool on pan for 5 minutes, then transfer. Hi Mary Anne! Haven’t seen a post on your site in awhile, what’s shakin’? Yum! Yum! Yum! That’s all I can say at the moment. Get back to work writing your thesis! No more dinking around. You can publish those White Chocolate Craisin Cookies now – I keep forgetting to tell you. Yay! Thanks for letting me know. I LOVE those cookies. They have been a huge hit ever since you shared the recipe with me. Ok. Back to writing my thesis….and circling the table…and doing laundry….oh, look….shiny things….then back to writing.